HEYNER® is one of the leading German manufacturers of quality car parts & accessories. The company has been established in 1993 in Berlin by Mr Gerhard Heyner and still operates as fully family own business. We specialise in windscreen wiper blades for cars, trucks and buses. The current product portfolio consists of several hundred products from wiper blades and air compressors through to tools and child car seats. Our focus is on high quality and we still continue to specialise in manufacturing windscreen wiper blades. During the past 20 years we have designed and manufactured 16 types of wiper blades to meet every need. 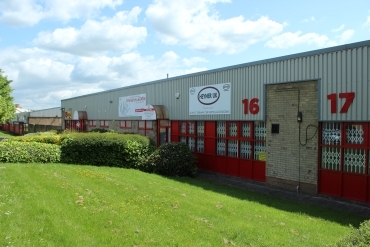 HEYNER UK Limited was created in response to a continual growing demand for HEYNER products within the UK. By setting up this operation, we are now able to serve customers directly from our UK warehouses; at the same time providing swift delivery and first class customer support. We assure each and every customer of a quick and friendly service in conjunction with reliable availability of product. Our exceptional quality standards ensure the constant focus on the quality of product development, production control, sales and logistics. We also concentrate on efficient cost control, resulting in every product being able to offer outstanding value for money. Going forward, our plan is to continue to expand, taking into account the most up-to-date technology. Our ability to tailor products to suit customers’ requirements provides us with a powerful position within the European marketplace and a continued and growing recognition amongst our clients.